Halloween is almost here. 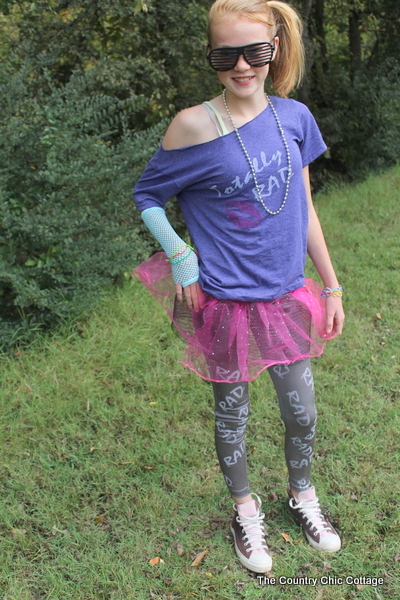 My tween wanted to be an 80s girl. The costume she picked out in a book was close to $50. 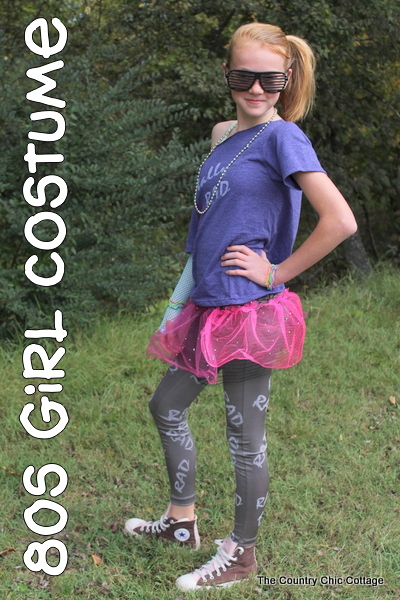 So I decided to DIY my own version of this costume from Dollar Store finds. 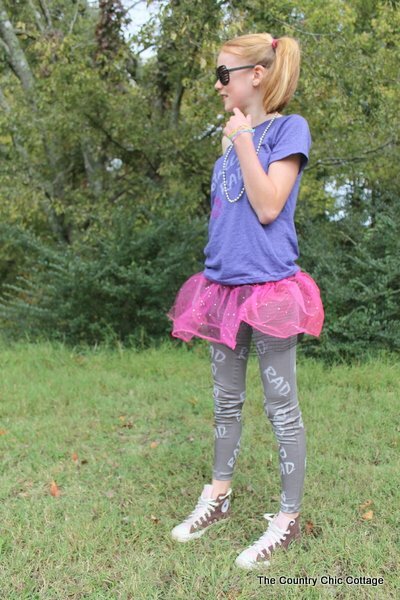 I knew that I wanted to paint on the shirt and leggings. I actually had a product that makes screens and ink on hand. You could absolutely use fabric paint instead. I created the “totally rad” graphic on my computer in my word processing program. I took black and pink netting that I actually cut away from Dollar Tree items and sewed them onto the leggings as a skirt. The black was from a Halloween item and the pink was three of those pink princess skirts for little girls. These glasses are OH SO 80s! And they were right there at The Dollar Tree. I really think they made the look. We had fun making this costume and posing for some modeling pictures. A perfect excuse to spend some time together. I am in love with the results. 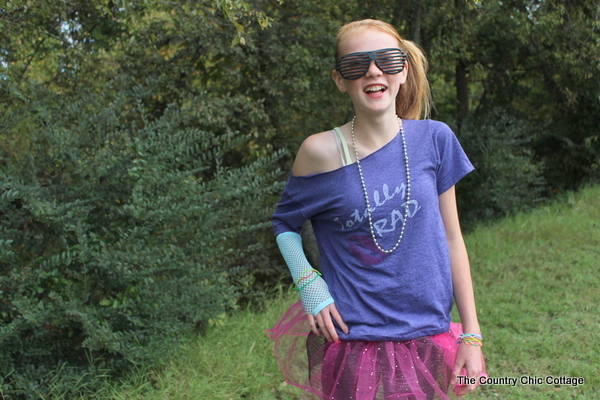 She is “totally rad” and ready to like go to a party or whatever…. This is super cute. I actually kind of love the Rad leggings. I think they could be cool for regular everyday wear. Heck, I love the sweatshirt too. Awesome work! She looks TOTALLY 80s.